PRAGUE (CZE) - The hosting rights of three youth-centered Baseball World Cups were awarded by WBSC's International Baseball executives in Prague, Czech Republic. Taichung, Chinese Taipei was named the host city of the new U21 Baseball World Cup, in which twelve countries will participate this year from 7-16 November. International Baseball executives also voted to grant National Teams the option to include a limited number (maximum of three participating in a match at any given time) of U23 players on their U21 Baseball World Cup rosters, in order to include and connect with an even broader range of young athletes in the Baseball World Cups. Japan, which will host the Women's Baseball World Cup this September in Miyazaki, was selected as the host of the next U18 Baseball World Cup in 2015. The "Mecca of Japanese Baseball" -- historic Koshien Stadium -- will be the centerpiece of the 2015 U18 Baseball World Cup for the athletes and spectators. 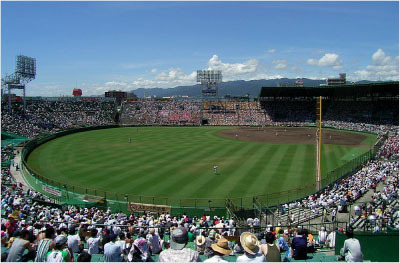 Built in 1924 (in Nishinomiya, Hyogo), Koshien Stadium is Japan's oldest ballpark, is instantly recognizable by its unique all-dirt infield, and is also the storied home of one of Nippon Professional Baseball's most famous clubs, the Hanshin Tigers. In 2017, the U18 Baseball World Cup will go to Canada, as International Baseball executives declared member federation Baseball Canada as the host of the 28th edition of the U18 event. Baseball Canada successfully delivered the 2010 Baseball World Cup in Thunder Bay and had also given strong bids for the 2013 and 2015 editions. Robust bid interest in the U18 Baseball World Cup followed the success of the 2013 U18 Baseball World Cup, which, in partnership with MP & Silva, had an enormous potential broadcast distribution reach of over 144 million homes and potential online/mobile reach of 22 million unique users. "The bids presented were exceptional, and I am fully confident these Baseball World Cups will be in excellent hands and serve as worldwide platforms for the athletes to shine and proudly wear their national teams' jerseys," said WBSC co-President Riccardo Fraccari. "Securing such high-quality hosts for our events is a key indicator of baseball and softball's global appeal, popularity and development, and of the lasting legacy and value returned to the host communities in various countries," Fraccari added. Since 2009, baseball and softball world championships have been held in 20 countries across Africa, Asia, Europe, Oceania and North-, South- and Central America, and include Argentina, Canada, Chinese Taipei, Croatia, Czech Republic, Germany, Italy, Japan, Korea, Mexico, Netherlands, New Zealand, Panama, Puerto Rico, San Marino, South Africa, Spain, Sweden, United States and Venezuela. "International Baseball properties -- our Baseball World Cups -- and National Team sanctioned competitions, from youth to elite, continue to grow into global commodities, which will further build, position and promote the National Team brands of our members, thus driving the growth of our events over the long-term," said Fraccari. Youth-centered Baseball World Cups are organised across the U12, U15, U18 and U21 age categories.